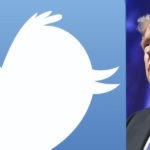 The Donald Trump administration is taking legal action to try to force Twitter to reveal the true identity of whoever is behind one of the anonymous accounts that purports to be a government insider. Specifically, Homeland Security and Immigrations And Customs Enforcement are demanding to know who’s running an account that claims to be coming from inside those two agencies. But Reuters says Twitter Inc. is suing Trump in return, and the ACLU says it’s doing the same. But Twitter is rejecting the request, pointing to the First Amendment and explaining that no proper explanation has been given as to why the above would apply to the person running the Alt Twitter account (source: Reuters). The clear implication is that Twitter believes the Trump administration is merely trying to target the user for being critical of the administration, and is using immigration-related reasons as an excuse for obtaining the identity. The ACLU is also joining the legal fight, tweeting that “We’re glad Twitter is pushing back. We’ll be going to court to defend this user’s right to anonymous speech” (link). In the mean time, the @ALT_uscis Twitter account (link) is seeing an explosion in popularity right now, having gained four thousand new followers in just the time it took us to write this article. Supporters can donate to the ACLU.